The extensive collections of the Imperial War Museums reflect people from all walks of life. 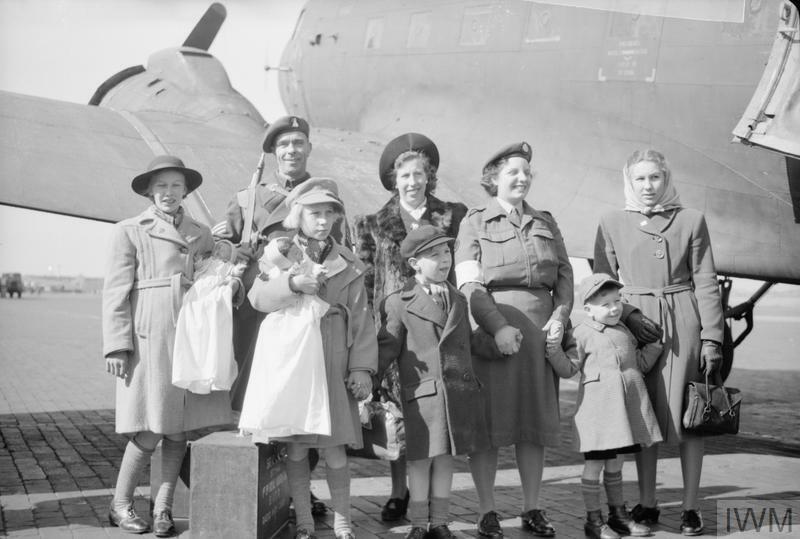 This makes us a practical resource to help put the wartime experiences of your relatives into context. We do not hold personal service records or official documentation. Service records – administrative files may record dates and places of enlistment and demobilisation, postings and units, injuries or disciplinary action. Different records exist for airmen and officers. Casualty information – sources recording those wounded or taken prisoner of war as well as the burial and commemoration of those who died. Medal records – medal entitlements can indicate involvement in specific campaigns as well as awards for service or gallantry. Unit and operational histories – resources describing the day to day operational activities of units. Social and local history – church records, local newspapers, school and workplace registers may mention an individual. Start by gathering information from mementoes, medals, letters and documents that you or other family members may still have. Look for clues about which units the person served with, what ranks they held and their service number, to help you find and search the right records. Many records are only available online, sometimes on more than one site. We have listed the main sources but there may be others. Some records are free to view but others are available on either a subscription or pay per view basis. Check the home page of the sites for details and current offers. We have an outstanding research library including over 150,000 books and periodicals. Search our online catalogue. Drop-in to our free Explore History area at IWM London, where you can search the catalogues, and use other online resources and multimedia displays to discover treasures from our archives and the personal stories behind them. Appointments are available for you to do more in-depth investigation in our Research Room. For more information, opening times and to request an appointment check our research facilities. You can also search IWM's War Memorials Register - search over 1 million names and 30,000 images from the UK’s War Memorials.